If you are a GroupWise user who wants to Export GroupWise to PST files, there is a ray of hope for you. You can now easily convert GroupWise to PST with a professional GroupWise to Outlook converter. It is true that there are many tools that claim to export GroupWise to Outlook PST. However, if you want to have the best GroupWise to Outlook conversions, you should get a professional tool that works with certainty. The Shoviv GroupWise to Outlook Converter is a professional tool that has been created to convert GroupWise files to PST files without risking them. It is easy to use and also very effective in migrating the email database without affecting the originality of the files. It can be used without needing any previous experience of GroupWise to PST conversion. The best thing about the tool is that it offers an assurance that none of the user’s email files will be lost or corrupted at any point during the conversion. This tool is the perfect solution for GroupWise to Outlook migration for all users, beginners or advanced. The tool can be used by anyone without needing any previous experience. You can easily export GroupWise to PST without needing to do anything complex. This is a tool that even first time users can operate without worrying about data loss. The tool offers step by step conversion that you can easily understand. You can convert GroupWise to PST files at lightning like speeds. The tool saves a lot of time and effort for all the GroupWise users. The tool is fast because it is designed with high-end algorithms which shorten the conversion time for all transfers regardless of their size. You can relax and sit back while the tool does everything for you. You can export GroupWise to PST format with multiple options. For example, “online login”, “Default login”, “Cache Mailbox login”, “Remote login” including the proxy mailboxes. This feature is highly beneficial for getting flexibility in your conversions. This gives you more control over your email database. You get to have a preview of your email files before you finally convert to PST. This enables you to ensure that only those files are converted which you want. 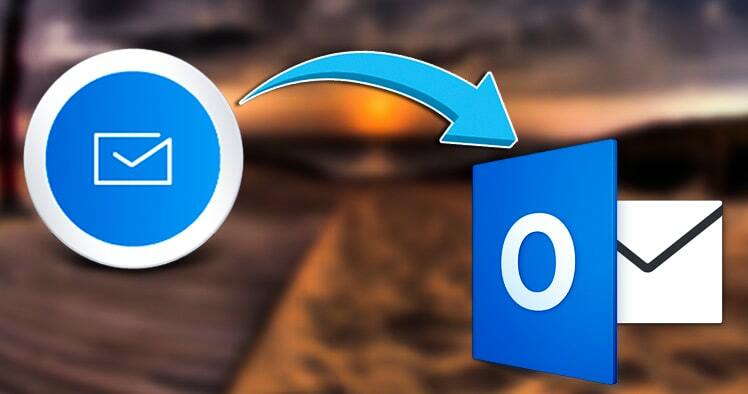 This also adds an extra layer of security to your GroupWise to Outlook transfer. With the file preview option, you can make sure you know each and every file that gets converted. You get to perform selective email conversion with this email converter. The tool allows you to export GroupWise to PST, GroupWise to EML and GroupWise to MSG. When you convert GroupWise to EML format, you can access the GroupWise emails in multiple email clients both on mac and windows. This is a very important feature that makes a huge difference. Most of the email converters are unable to do this. But the Shoviv GroupWise to Outlook converter can fully read and recognize all Unicode or non-English files. This metadata preservation feature includes all double-byte character-based languages like Chinese, Japanese etc. This feature is a lifesaving one which aids all users who have to deal with content globally over their emails. While GroupWise has no limitations when it comes to file size, Outlook has a 50 GB size limit for each file. So when you are converting large sizes GroupWise files to PST, the tool automatically splits the large PST files to smaller and more manageable sizes. You can choose to split the PST files according to your own preference. The tool allows you to add multiple GroupWise mailboxes and convert them all at once. This saves a lot of time and effort from the user’s side. This is a feature that proves the power of the Shoviv GroupWise to Outlook PST converter. When you need to add multiple mailboxes, you will need to use the proxy feature for the desired results. The tool offers a free demo version which is now available for download. You can use the free demo version of the tool to export 25 GroupWise to PST files for each folder for a limited time. Once you are sure that the tool works for you, you can easily upgrade to an affordable full version. The full version offers you free support and free updates to make sure that you get the best GroupWise to Outlook migration experience. To download the free trial version of the tool, click here.